Punjab 1984 is most awaited Punjabi film and a dream project for Diljit Dosanjh, who’s playing the lead role in the film. The film is a different concept other than nowadays movies that are based on romance, comedy and action. It is being said quite similar to be in story like the super hit and popular historical film Sadda Haq. This film shows some new thing mixed with the history of Punjab and it is too clear that the movie will be based on the Punjab history and historical background. . Movie directed by Anurag Singh and produced by Gunbir Singh. The film is based on 1984 anti-Sikh riots and a story of a mother and her missing son. The story of movie revolves on situation of Punjab in 1984. Diljit is playing a lead role in this movie. 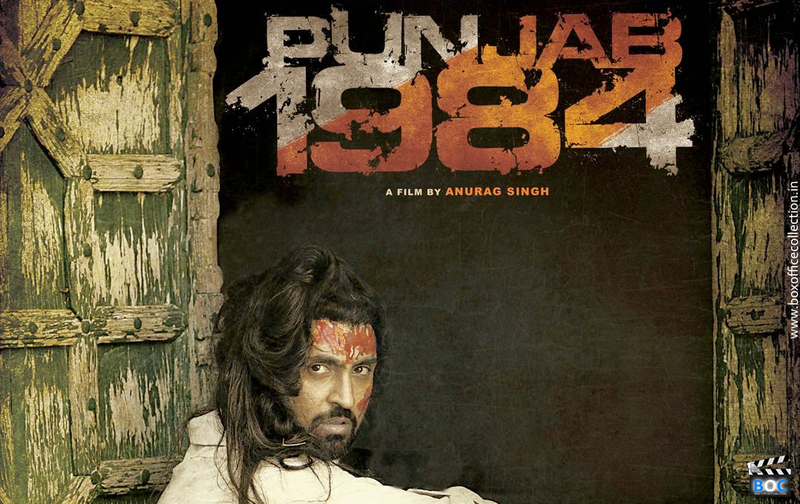 This movie shows that what critical condition Punjab had in 1984. But now it is totally changed. Now Punjab is well known a good state in the India. After so many hit films in Punjabi cinema in the recent month, now Punjab 1984 seems to be another among this hit list. Punjab 1984 has very fantastic star cast featuring Diljit Dosanjh, Sonam Bajwa, Kirron Kher, Pawan Malhotra, Arun Baali, Rana Ranbir, Manav Vij, Vansh Bhardwaj & Vishwas Kini among many others in the supportive roles. Everyone especially in Punjab dominated areas are very curious to see how movie perform at box office. Box Office Prediction regarding first day collection of Punjab 1984 suggest a total collection of around 1.15 Crores on the day of release. Now we have seen Punjabi movies trend has been increased day by day so we all are expecting that Punjab 1984 getting a good audience response on its first day.